Christine Longmore proposes second Tuesday of every month at 6pm. Everyone agrees. Mark Hughes: Should we have extra meetings? Christine Longmore: subcommittees can meet at additional times. Christine: Would there be any issues with an extension? David: not legally, but we should check with the speaker of the House and Senate pro tem. Karen Vastine: We should do it before crossover if possible. Judge Grearson: perhaps wait to ask until we have specific reasons we can give as to reasons for the extension. Christine: Let’s make sure everyone responds promptly if emails go out asking for time changes; be respectful of process. David: I will be taking minutes. Also it is being recorded, and will be recorded in the future. Some members of the panel have a right to reimbursement. I have the forms and will have them each time we meet. Christine: we appreciate everyone showing up from the community. We will have minutes taken, we will try to have video each time, eventually the AG’s office will post on website. Mark: we are grateful to senior leadership appearing at this panel. We hope that this continues; having senior leadership at the table is important for making decisions. Christine: Shela was unwell and not able to attend (Shela did attend by phone shortly after this). Christine: this is a tough but important conversation. What do people think about when they hear people say something like “blue lives matter.” I saw a sign saying that in a police station. This made me uncomfortable as it’s a response to the black lives matter, and doesn’t take seriously the pain and challenges that black Americans face. White supremacy exists and we need to face it. Vanessa (member of the public): I hear “all lives matter” and that makes me uncomfortable similar to the way Christine described. Bruce Wilson: I was raised to believe nobody is better than anyone else. I came up when it was the whitest state in the union. People ask me why I’m up here. I’ve been here since 1989. I come from Chicago. I visited as a child, and decided to stay after college. I have experienced a lot of stereotyping in VT. I have a degree in Psychiatry. On Church St. a couple months a little girl started rubbing my hand to see if the color came off. A lot of it is around needing education. I do a lot of work with youth, mostly white. Education is key. We need to get into the communities to learn everything we need to learn to do this panel. We need to talk to the people who are out in the communities even if they aren’t the people who normally associate with. Christine: This all goes back to accountability. Chief Del Pozo gave me the book “Choke Hold” about policing black America. We will be having a book discussion in Burlington shortly. Major Ingrid Jonas: Black lives matter came from people wanting their black children to be safe. We shouldn’t hear black lives matter to mean that other lives don’t. When I hear black lives matter I don’t take it as my life doesn’t. Some have taken it that way, but we shouldn’t and this panel likely does not. We need to understand the history of the country, slavery, apartheid, and more. Christine: Yes, you understand these issues well, but the issue is that there are others who do not. Mark: The thing that is very common about the panel is that the state employee panel members are white people. This speaks to systemic racism. Is everyone here with this agenda, does everyone here agree that there is systemic racism? That there is a problem here that needs addressing. I would like to bring someone in to discuss these issues as an educational opportunity but we probably don’t have the time. Christine: We are looking at this in a systemic way, that is our concern as the people of color on the panel. We will also discuss some of this in the report back on Act 54. Mark: The following is some background on the statutes that have been passed previously. There was a request to look at possible changes to law enforcement advisory committee. The report back was that they didn’t have enough time. 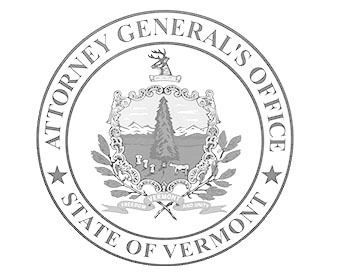 One solution: should the AG’s office be a clearinghouse for all complaints about anything, for example housing, etc? Rick Gauthier: Act 56 required a model internal complaint process to be adopted by every agency. This will require a higher level of investigation than there may have been previously. OPR will now take over investigations and licensing. This will mean a statewide registry for licensed police officers. In addition, if an officer is not currently employed the hiring agency must contact the prior agency about why the officer left. Christine: Having a hybrid system with community members is good, and there is an aspect of this in Burlington. Geoffrey Jones: Any unified effort is going to take money. Any proposals should include a budget. Nothing will happen without the resources. The budget proposal will add weight to any proposal. Mark and Christine: agreed on this. Mark: how does the OPR aspect change civilian oversight? Rick: there could still be civilians working with the council. The real work of the council is actually done on subcommittees and we should take that into account when incorporating civilians. Shela Linton: I tried to help someone file a complaint with the Brattleboro PD. It was very difficult even to access the complaint form. Eventually staff found the complaint forms right in front at the window where we had been waiting. If we are going to have a system we need to make sure complaints are highly accessible to everyone, regardless of technical access or ability. Lisa Menard: There are many ways for the general public to file complaints (writing governor, commissioner, etc). We also have a grievance process for inmates. We acknowledge the deadlines are too long and we are working on that. These grievances are handled by AHS, not internally by DOC. Ken Schatz: there is value to having a centralized system where someone can come in to file complaints about perceived implicit bias. It is very hard to know how to grieve/complain throughout the very broad bureaucracy. Julio Thompson (member of the public, AAG): HRC has had jurisdiction over discrimination complaints for 30 years, deals with all racial bias issues—including with police or any governmental service. They are the one-stop shop for all of these issues across all of state government. Judge Grearson: we have the judicial conduct board as an avenue of reporting. It may be helpful to take an inventory to see what is out there already. Part of it is also education so people know where to go. Geoffrey Jones: are we talking about creating a panel or entity that would be sort of traffic cop to direct complaints as necessary. Mark: still not clear to me how these entities interact. We have at least AGO, HRC, feds. Others also. Shela: I haven’t felt heard by the entities that we named, my experience has not borne this out. Christine: Given short time tonight let’s move on and address this later. Vanessa: relocating meeting to Waterbury would be a problem. Chloe White (member of the public, ACLU): the area of implicit bias is difficult to detect and make decisions on. Even if we have a clearer system that may not address the issue of implicit bias in particular—that is harder to prosecute and detect. Rick: unprepared at this meeting to present due to recent reception of agenda, but can give a full update at the next meeting. Considerable work has been done already, a few items are stalled. Mark: we should really focus on the high-impact/high-discretion decision points. Rebecca: the perspective the defgen can have on this panel is that we represent individuals—our contribution may be a little more horizontal because we represent people who cross so many categories. Bruce: We have to let people around the state know who we are and what we’re doing. I have youth advisory groups around the state as well. Lisa: we have ideas about what those decision points are, but we want the input of the panel. May send out our ideas early. Mark: updates on Act 54: we have done the first draft on FIP. We will continue to do work on it. We want transparency and accountability on what we need to get accomplished. There hasn’t been sufficient transparency in the FIP process so far. The last component of Act 54 is the Section 3 report on the rest of the state systems: we had the first meeting that was very productive.